AWS Lightsail is the latest offering for the webmasters from Amazon. 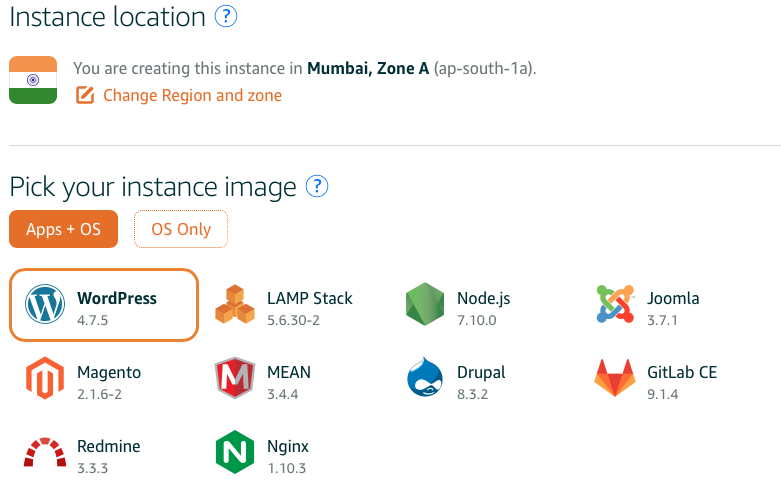 Check how you can easily install and setup WordPress on AWS LightSail. Amazon’s idea is to provide virtual private server installations for smallest of businesses, so they don’t have to worry about anything other than their application. Installing and running a WordPress was possible earlier on Amazon EC2 also, but many bloggers were skeptical about it. Small blog owners look for fixed cost pricing but EC2 pricing is based on the usage. Most of the small blog owners are not ready for that kind of pricing, and not many have the technical skills to manage the EC2 installation. So let’s talk about why we should consider AWS Lightsail rather than other hosting solutions. Most of the small website and blogs run on shared hosting and anyone who has used shared hosting will know the pain associated with it. You do not have control of those hosting, sometimes your site will be working fine and sometime it will be slow like hell. It depends on the other users who are sharing the resources with your site. One bad user can ruin the experience for all the sites on that server, even otherwise the speeds for shared servers are not that great. What AWS Lightsail is offering is a virtual private server for small website owners with a shared server pricing. There are some additional benefits on AWS LightSail which is not available on Shared hosting like Static IP Address, DNS Management, Backup etc. So rather than starting with a shared server and moving to VPS once your blog grows, start with a dedicated virtual private server. You also get the AWS infrastructure, which will provide unparalleled performance. This blog is currently hosted on AWS Lightsail, you can check the performance to get an idea. 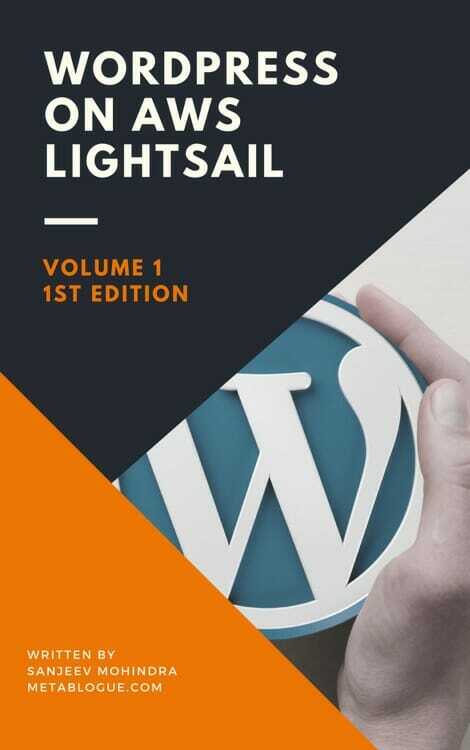 Here is a step by step guide to install and setup WordPress on AWS LightSail. 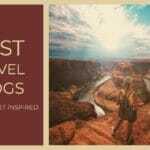 Use the TOC to jump to specific sections of the guide. AWS Lightsail WordPress installation is all automated and can be done in 5 minutes. 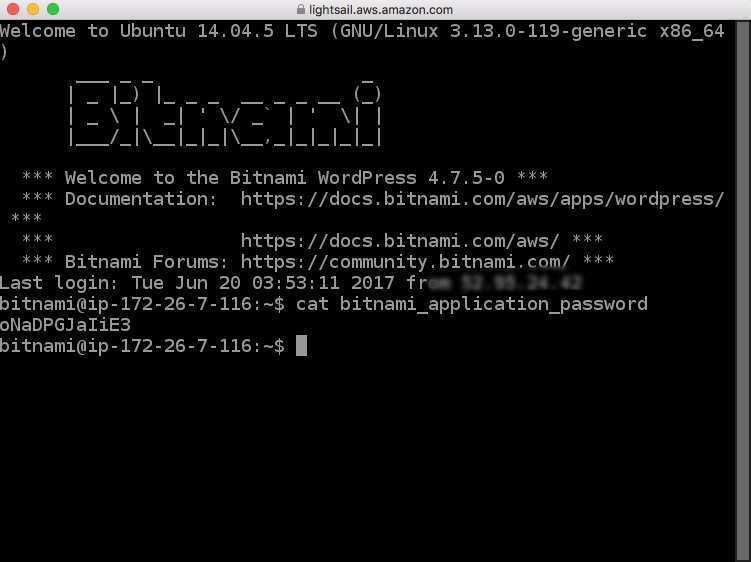 AWS uses Bitnami WordPress image to install and manage the WordPress on AWS. You need to create a server instance (click on Create Instance) and select the applications you need to install on that instance. Note: If you try to login to LightSail and gets 403-Not Authorised error, make sure your AWS account has payment method added, an email and phone number verified. There are few things which you need to understand befog you start installing the WordPress. AWS has a lot of regions and some regions have different data transfer limits. 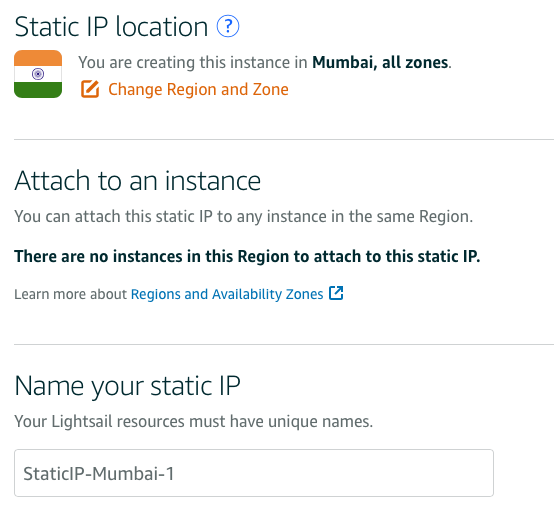 AWS Lightsail will give the closest region based on your location but you can change it according to the target audience for your site. Currently, US-based region has maximum data transfer allocations. Once you choose the region, you have to pick an instance image. You can opt for OS only or Apps + OS image. This is like installing the software on your computer. Select Apps + OS and select WordPress from the application list. There are some other applications supported on the LightSail instance but we will only talk about WordPress. Once the app selection is done, you need to select the plan which you want to take for the instance. $5 plans are good for the people who are just starting a blog. Otherwise, choose based on your need but remember all of them has SSD based storage so response time is usually fine. 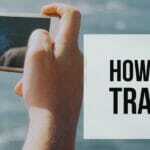 I would recommend you to choose based on the traffic you are expecting. The upgrade process is simple so you can transition to higher plan later on. Now name your instance, give it some meaningful name so that you can recognize that instance. Click on Create and you have a virtual server installed with OS and WordPress. It might take a minute to provision your server. Once it is available, you will have a sample WordPress site running server available to you. Once the instance is ready it will give you a public IP address. If you go to that public IP Address, you will see a sample WordPress site running. You will need user-id and password for WordPress admin login. The default user-id is “user”. You will see a button connect using SSH on the LightSail panel. If you click on that it will open an SSH session. Enter the below command to get the password for the admin account. It will display the password which you can copy and use it to login to WordPress admin dashboard. I would suggest creating another user with the administrative privileges. Once you have created a new user, login with that user id and delete the default account. There is a Bitnami logo which will be displayed in the bottom-right corner. You can enter the below command to remove that logo from the website. 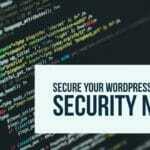 With this, your WordPress account is set up and currently running on a public IP and can be accessed using that IP address. The next step is to enable a static IP address for your WordPress site. There are other ways to make it available to the world but Static IP address is better in the longer run. Later-on if you want to upgrade the server, you just need to create a new instance and assign it the same static IP address. That will take care of the server upgrade. You will get a button to create a static IP on your LightSail resource panel. Once you click on that it will create a static public IP address and asked you to assign it to an instance. You can assign it to the instance created for WordPress installation. Remember, Static public IP address with a LightSail account is free as long as they are in use. So you have to assign them to an instance, otherwise, there will be a charge for them. Now you have a WordPress installation running with a Static IP address. Now its time to tie that IP address to your website name. There are two ways you can do it and it depends on from where you have purchased the domain name. You also get DNS service from AWS free with your LightSail account. If you decide to use that, you need to set the nameservers with your domain provider. This way AWS will do the name resolution for your website and you will use the AWS infrastructure for that also. If you want to use LightSail DNS service, you need to create a DNS zone and add the DNS entries in that zone. You will get some nameservers for your DNS zone, which needs to be added to your domain provider as nameservers. The other way is to keep using the services of your domain provider and update the A type record to point to a static public IP address. That way name resolution will happen with your domain provider and it will be transferred to your installation. It’s all about the preference as you would not see much difference between both ways. The difference will be in some milli-seconds, so choose according to your choice. The site URL will be set dynamically on AWS Lightsail. So once your DNS names are setup correctly, it should reflect in the WordPress Admin interface as your site URL. You need to change these lines to point to the URL rather than host name. You need to replace DomainName to your domain name which you want to use. You can download the file through FTP, edit and upload it back or use the SSH shell to edit the file. If the name doesn’t pickup than you need to restart the server. You can use the below command to restart your server in the ssh terminal. AWS Lightsail come preconfigured with the backup and restore services and it’s as easy as clicking a button. Once you are on the instance management panel, you can see a snapshot tab, which is for backup and restore. You can click on the snapshot, select the instance and create a snapshot. This will create the backup of your complete disk. 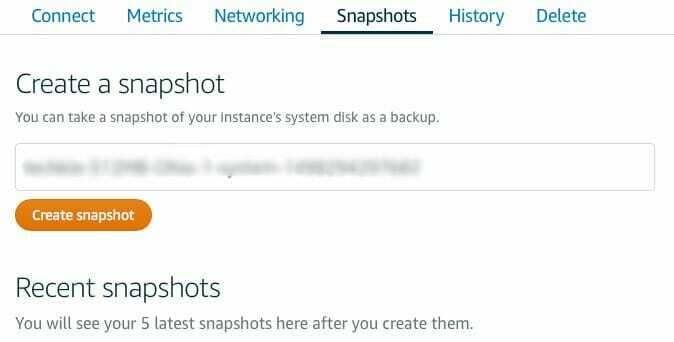 If there is something wrong with your site and you want to restore, you can delete the instance and create a new instance with the snapshot backup. You can update the static IP to point to the new instance. That’s how easy it is to take a backup and restore the WordPress site on LightSail. The one drawback with the Lightsail account is that it doesn’t come ready with an email server. So your current WordPress installation cannot send an email out. If you need to have email services you need to set it up. Lightsail WordPress installation comes with pre-installed plugins, one of them is WP Mail SMTP. WP Mail SMTP allows you to work with any SMTP service provider including Gmail accounts. If you are planning to use Gmail account then you can also use the Gmail SMTP plugin. Just install the plugin and follow the setup instruction to add a Gmail account. There are some other methods like installing the mail server on the instance but it will need some understanding of OS and package installation on Ubuntu. Check this guide to setup and send Emails from your domain name -> Send Emails on AWS LightSail using AWS SES. You can use Lightsail Metrics tab to monitor the CPU, data bandwidth, and memory usage. You can check and optimise your installation accordingly. Lightsail also provides constant monitoring for your WordPress installation, you can check the status check messages on the metrics section also. I hope with the help of this tutorial you should be able to install fully function WordPress on the AWS Lightsail. I created a wordpress image as my first instance on lightsail, I had started with a static ip & then configuring the DNS my site was up and only thing i could not do was install a SSL – using the letsencrypt WP-Encrypt Plugin . And within minutes i could install the SSL using the same plugin! Static IP help in hiding all the internal work from the world. You can just change the instanse and attach it to same Static IP, you don’t need to wait for the DNS propogations. Even if you have setup the instance, you can still create a Static IP and attach it to instance. Change the DNS and wait for it to propogate. Not sure what error you were facing, but you can attach the Static IP even after applying the SSL. You can follow the below guide for applying SSL on LightSail. Let me know if you are facing any specific issue and I will try to help. What I mean from Internal work is Updating Themes, Bitnami Stack etc. You want to do any major design changes or any other work on your blog, you can create another instance. Make changes in that instance using Public IP of that instance, once everything is done and you are satisfied, just attach the Static IP to your new instance and within minutes your changes will be reflected. This helps a lot in making sure your blog is running smoothly while you are testing your changes. If you use Public IP of a instance, you need to change the DNS and wait for 48 hours to get it propagated. For me what’s missing is a way to do multisite WP (ie. multiple instances of WP running on the lightsail host), and apparently Bitnami is far from easy to configure in this mode. Many other hosting companies offer super simple tool to make this happen and link with any domain name you might have. LightSail is indeed powerful, but their implementation of WP is too simplistic for now. Though theoretically it is possible to host multiple site on LightSail but it’s not as easy as clicking on cPanel and create a new install. You need to do some manual work and make sure both sites are served properly. This is one place where they can improve or we may have to create a script to add a new site by automating all the work. HI Sanjeev, thanks for the detailed instructions! I have followed all your precise notes and finally was able to direct all traffic to https. I tried the CNAME to redirect http://www.domain.com to domain.com.. This did not work too. I am still seeing both www and non-www. Any idea why the CNAME on lightsail does not work in redirecting www to non-www? Not sure why the CNAME has not worked. Usually setting A records with the same IP and CNAME to different name should have the same impact. CNAME should take care of www domain name to non-www domain name transfer. httpd-add.conf should take care of http to https transfer. Both together will give the desired result. I hope you are not adding http prefix in the CNAME record. It should only have www and non-www domain name. Not sure why it is not giving the desired result. Your www and non-www should point to the same install, A records will also do the that. As long as it’s working fine now, you are all set.